Boost your friend's morale with your congratulations. 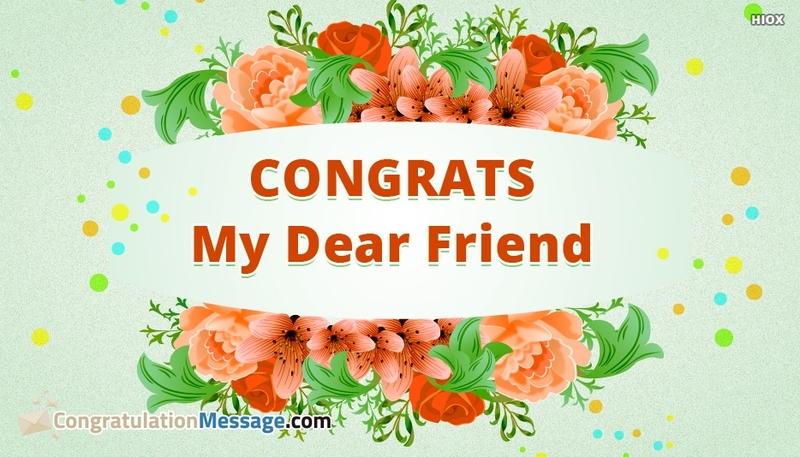 Make him feel happy and feel more confident by congratulating him/her with this "Congrats My Dear Friend" congratulations picture. Let this congratulations picture bring happiness to you and your friend. Share this picture with your friends and create lovely moments.